Just finished a book I am placing in the all-time top 10 books I've ever read - Rumo and his Miraculous Adventures by Walter Moers. This was the most fun I've had reading since Harry Potter. Just finished The Rite by Matt Baglio. An excellent book, written objectively and very theologically supported. But I'm afraid the movie will disappoint. btw, is it a fairly quick read? Yes. Of course I am a slow reader, because I am always underlining things and making notes in the margins. But it is very readable and does a good job balancing the true accounts of exorcism with theolgical and spiritual truth. One thing I really wish is that there were some modern works like this written from an Orthodox perspective. World Without End by Ken Follett--Wow! The Virtue of War by Webster & Cole--Interesting but NOT Wow! Orthodox Psychotherapy by Vlachos--Fascinating, deep, and dense. Slow going. I can only take it in snippets. The Psalter The HTM version. Speaks for itself! You might be interested in An Exorcist Tells His Story by Gabriele Amorth and Nicoletta V. Mackenzie. It's by the Vatican exorcist and is absolutely fascinating. But, of course, Catholic, not Orthodox. BTW, I've been told that it isn't "healthy" to display too great an interest in demons and exorcism, that it actually tends to attract demonic activity to us. Any thoughts on that? Lord Jesus Christ, Son of God, have mercy on me! Just started reading Anastasia: The Last Grand Duchess from the The Royal Diaries book collection, written by Carol Meyer, published by Scholastic. It's a "diary" of Grand Duchess Anastasia's life, from 1914 up till two months before her death. I read this as a child and loved it, so I'm reading it again. Psalm 57:2 "I will cry out to God Most High, To God who performs all things for me." Psalm 62:1 "Truly my soul silently waits for God; From Him comes my salvation." Psalm 59:9 "I will wait for You, O You his Strength; For God is my defense." Right now I'm reading I Write What I Like: Selected Writings by Steve Biko. Yes, the book emphasizes this very point, iting C.S. Lewis's famous maxim from The Screwtape Letters: "There are two equal and opposite errors that the devil wishes to drive us into: the first is that he tries to convince us that he does not exist, the second is to foster an unhealthy interest in him." The book also quotes a lot from An Exorcist Tells His Story. I would like to read it. Is this your first time reading Dostoevsky? Maybe not prophetic of anything the Roman church would soon do, but it sure strikes me as prophetic of what the Bolsheviks would do to Dostoevsky's Russia several decades later. Indeed. A wonderful book. We read "The Grand Inquisitor" in my college Literary class, and I liked it so much I immediately went out and bought The Brother's Karamazov. I really need to read it again sometime. But you are right, "The Grand Inquisitor" is prophetic and applicable to many of the socio-political movements that have done more harm than good. Even today in America, the same three things are elevated as the panacea for all human ills. People continue to look to the government to feed them, unify them, and liberate them from the agony of moral choice. Dostoevsky was a very prophetic writer. Just started reading The Brothers Karamazov. Very interested in this book. It's a pretty huge book, so I don't think anyone can fault you for that! It took me about 8 months to read all of it and I loved it. Very inspiring. Insightful! I'll have to re-read it, I think. Amazing book. While it's been a few years, the other scene that really left an impression on me (aside from the Grand Inquisitor) was the one where intellectual and skeptic Ivan and faithful Alyosha discuss the reasons for and against faith in God. Dostoevsky goes deep! Right into our deepest pain and most challenging existential questions. I also highly recommend Crime and Punishment. It's a quicker read with far fewer characters to remember... which gets tough when each character has three or so different Russian names! On the Incarnation, St. Athanasius. Talk about a lucid writer! I know three people who became Orthodox after reading this book. One of the greatest books I've ever read. It's fantastic. St. Athanasius is one of my favorite saints. "May God Give you Wisdom! : The Letters of Father John Krestiankin". Excellent, easy to read, full of wonderful advice. He's so matter-of-fact, so confident. "At Home" - Bill Bryson. I'm a huge Bryson fan and his latest does not disappoint. Let's hope it becomes 4 (or at least 3.5 for being a web acquaintance). It's up next in my queue. I remember the John Wayne movie which I enjoyed. I thought L'd read the True Grit book by Charles Portis before seeing the new movie. Apart from hearing JW's voice throughout the story, I can recommend the book. St. Maximus: The Church, the Liturgy, and the Soul of Man. Because my Priest mentions it often and stresses its importance in his life, I revisited The Brothers Karamazov, the Pevear and Volokhonsky version in English translation, during my week or so off during the holiday break. Has anyone here read After Virtue by Alasdair MacIntyre? This is probably going to occupy me during all of Lent, as much as I would love to start other books, my pile of books on my nightstand is threatening to fall over on me in my sleep. If that's how I shall go, at least I shall die happy, I guess. 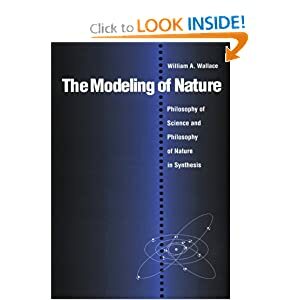 Today I will begin reading: The Modeling of Nature: Philosophy of Science and Philosophy of Nature in Synthesis - William Wallace, O.P. "Four Arguments for the Elimination of Television" by Jerry Mander. Written in 1978 and reads like it was last week. Incredible book so far. You might like the The Disappearance of Childhood by Neil Postman. A nice quick summary of Western Civilization with a provocative thesis. Prescient in 1982. Highly recommended. Thanks. I will put it on my list. Plodding through The Gormenghast Novels by Mervyn Peake (I'm on the 2nd right now - Gormenghast). Can't decide what to make of these books, but they do have a way of sucking you into their dark world. This one's been on my nightstand for 2 years and I've gotten about 200 pages in. It's now a test of wills - like trying to finish War & Peace. I'm trying to figure out what it is that makes this book a literary classic? The writing is excellent, but the plot seems like one long road trip gone bad. How many pages does it take to make the point that Don Quixote was a mixed up, deluded fool? Amy I missing something? Got it in the mail today at work and finished it over lunch and dinner. Fantastic. Concise and clear. I can see why the text is so highly regarded by many. Now that I've read the entire text, I will be going back through it a few times and studying the chapters dealing with each aspect of Lent as it comes up. Taking off to Europe next month, Lord willing. Going to end a three month hop around the place with several weeks in England, so want to see as much of my home county as possible, specifically with a view to the Roman occupation. So I'm reading "Roman Sussex" by Miles Russell - amongst other British-Roman history stuff. Tina, I've been asking myself those questions since I began reading that book. I wonder what the inner meaning is, if there is one. I hope there is one. I found a lot of uncanny parallels between Grisostomo and Marcela and St. John Chrysostom and Empress Eudoxia. Maybe I'm just an Orthodork. I am currently reading "Satan an authorized autobiography" by John Anderson. I'm only about 100 or so pages in and ready to set the book on fire. Writing style: not even meh. Plot: Theology: Not your typical Protestant, here is the kicker *SPOILER* Man is Satan since the Hebrew word for Satan is adversary and the same word is used to describe God and man through out various verses of scripture. So Satan is not a real person, but all of mankind is Satan since we are God's adversaries... Also Satan has no supernatural powers, since Satan is man. -500,000,000,000,000,000,000 out of 5 stars. Well, you're already way over my head! I'm sticking with "road trip gone bad" and "fool" (not fool for Christ though). I have heard much about this author. The reviews say that this book is not so much an apology of postmodernism but a rehabilitation of virtue. This thinker was born Catholic, became Marxist, and reverted to Catholicism and Thomism. Hated by the Left for his Christianity, hated by the libertarian right because of his "communitarianism" which they call communism. Trying to finish The Peloponessian War by Donald Kagan before Lent. So... just finished reading "Satan an authorized autobiography" today. Apparently the whole of Christianity has been wrong for two thousand years because God's time for the "truth" of this book to be revealed, just like when Martin Luther broke away from the Catholic church - it was God's time for a truth to be revealed. The author claims that if you just read the Bible with an open mind and willingness to be wrong then you will see how any time the Bible talks about Satan, serpent, or dragon that the message is clearly talking about man being God's adversary. So in essence it has taken the "church" two thousand years to realize how it has been wrong - and I'm sure the author would say that there are more "truths" to be revealed. Overall I face palmed many a time during my reading. LoL! Ahhh, the never ending intrigues produced by Sola Scriptura. I was once there myself. I am currently reading "Satan an authorized autobiography" by John Anderson. Just wonderin' who authorized it? Well since man is Satan and John Anderson is a man, I'm guessing the source?